Not exactly as planned? Talk about understatement! 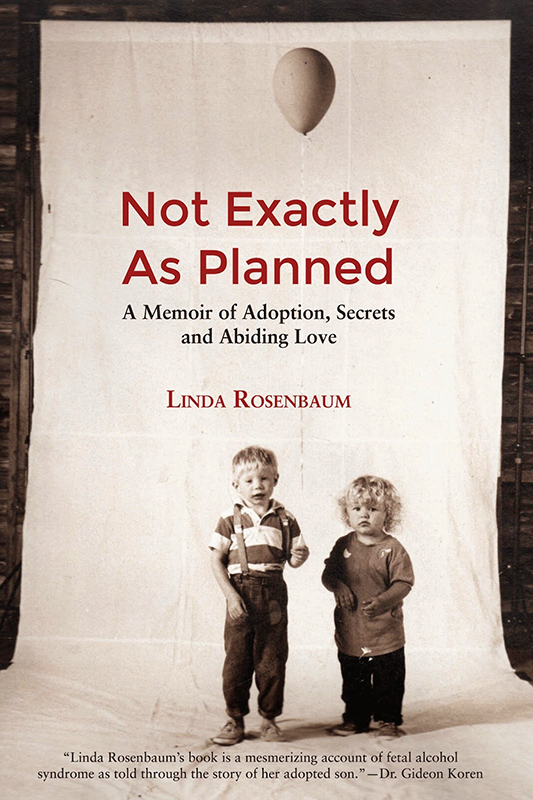 Toronto Island resident and journalist Linda Rosenbaum’s journey with her adopted and adored son, Michael, afflicted with fetal alcohol syndrome, is off the normative parenting grid. That’s unless, of course, you too are the mother of a heartbreak kid, no matter the diagnosis. In that case, her story will resonate deeply, as it did for me. I was alternately cheering, crying or laughing, and I couldn’t put the book down. Although my adopted son was not marinated in alcohol in the womb, as Michael was, my boy suffered other injuries there and lost the genetic lottery. I call his condition alphabet soup disorder, or ADHDLDCDMIDRAD. Rosenbaum’s story, though different from ours in some details and diagnostic acronyms, is nonetheless identical in the core parenting experience – parenting that rips your heart out. And while there are many variants of alphabet soup disorder, there’s nothing quite like Fetal Alcohol Spectrum Disorder (FASD), the most common cause of developmental disabilities, to play havoc with a mother’s heart. But many of Michael’s handicaps blight most mental disorders: impulsivity, hyperactivity, volatility, world-class poor judgement, self-absorption, compromised social skills, all leading to pain and failures that are also off the grid. Like so many brain-damaged kids, no matter their neuropsychiatric labels, Michael has a sweet side. What’s more, he discovered he has a talent for woodcarving (and perhaps, not coincidentally, some Native blood). There’s little doubt that his parents’ love and nurture through Michael’s darkest days helped him forge a path to his passion. If this story has a happy ending – or what I’d call a happy enough ending – it’s thanks to parents who were sometimes down for the count but who ultimately stuck together and never gave up. Take note: for parents of children with extreme challenges, staying together is the exception, not the rule. Many intriguing and complicating twists and turns are woven through this tale, including the adoption of Michael’s biological brother by Toronto Island neighbours. And then there’s Rosenbaum’s backstory, reflected in the word “secrets” in the title. But ultimately this memoir is about the devastating impact of fetal alcohol syndrome on one boy and his family, and their struggle to minimize the demons it delivers to all of them. This is the story that all adoptive parents wish were theirs: family as good as it gets, no matter how it is formed. Though Make Me a Mother is the ultimate heart-warming adoption memoir, things could have turned out very differently given the risks that too often dog international and transracial adoptions, both of which apply in this case. But when Italian/cultural polyglot American writer, Susanne Antonetta, and her husband adopt baby boy Jin from Korea, family life takes a star turn and never looks back. Of all the ironies in Antonetta’s account of her nuclear family’s journey with Jin, none is more glaring than the contrast with her own childhood. She and Jin lean in so close to one another that the author feels as if the bond recodes her own DNA. But growing up, she and her mother could hardly have leaned farther away from each other. How much maternal coldness contributed to Antonetta dropping out and dipping into drugs and a delinquent lifestyle is hard to determine. But, Jin, by contrast, experiences what reads like “normal” growing pains, though compounded by grief, loss and identity struggles endemic to adoption. Antonetta and her husband, the other love of her life, eagerly embrace the challenges familiar to families formed from different cultures: language, food, rituals. Like many adoptive families with children from far-flung source countries, when Jin is a teenager, they travel to Korea, and in this case meet Jin’s adoring early foster mother. 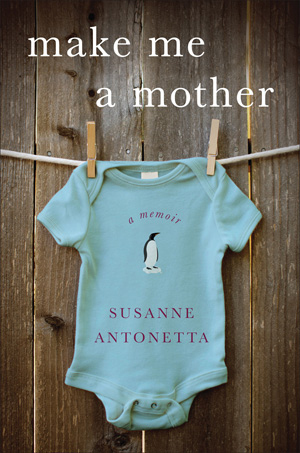 Page after page, this beautifully crafted memoir carries the reader deep into the heart of maternal love. The tale buoys me with its positive take on adoption, and especially adoption with complicating factors of race and place. But it also bothers me. When the author writes that “Jin has made me the mother I am and I have made him the son he is,” she gives, I think, too much credence to power of parenting, and not enough to the tug of genes. If ordinary, loving parenting makes “good” kids, how do we explain the fact that adoptees are dramatically over-represented in the ranks of “bad” kids? I suspect the author would disagree, but to me hers is the story of a boy who lucked out: Jin won not only the genetic lottery but also a beautifully matched mother.